"Because I work full time, making time for my blog is crucial and I have to be regimented. I rely on Asana (an organisation app) to keep me focused on what I need to do for the week and set aside usually 2-3 hours a night to work on blogs, guest blogs, or organising content for my social media. I also work through my lunch breaks sharing content, or commenting and replying to messages and comments on social media. I work hard on my blog as I love it, but I also know when to take a break completely and put down the phone, so I’ll do a night or two a week to binge watch GLOW or see friends. Having a balance is needed but also having at least a loose plan of the week helps me to react to things faster and make sure that I keep quality content coming for my readers." "Juggling a full time job, part time study and blogging can be difficult, but I usually set myself times on certain days to get stuff done. So I'll work between 9-5 and then reserve 2 days for study in the evenings and a couple of hours in an evening on the other days to blog. I started a bullet journal type thing to plan my days I'll be writing or studying or having a me day. I find it easier to do things in bulk so wrote a few posts one day and then edit the photos, add them in another and schedule the posts. If you post 2/3 times a week you can usually get 2 weeks worth done in a day or two so you don't have to worry. I try (it hasn't been my most productive time lately!) to have a few posts just in case I don't get chance to write anything." "There are a few things that make my life easier when it comes to blogging as I work full-time from half eight until five, with a 45 minute commute every day. First is my phone - I need to be able to write blog posts, record ideas, post on social media on the move, or whenever I have the time, so this is invaluable. I also often transfer photos I've taken for Instagram straight from my DSLR to my phone or tablet to edit and post, which saves me a lot of time. My photography lighting also gives me the freedom to shoot after the sun sets, or on a day with terrible weather, which helps a lot especially in winter. I hate that I don't have as much time to blog as I'd like, but that won't stop me blogging. I love the whole process of creating something useful or beautiful (or both) that I'm proud of and sharing it with the world - that's what blogging is to me, and I'm proud to say it's my hobby!" "I make time for blogging basically around my shifts. My shifts can be here, there and everywhere, I learnt early on that if I wanted to actually be able to have and run a blog I needed to be organised. At the start of the week I look at my shifts in work and then think about anything which I have organised on my day off, and then everything to do with my blog is built around that. Some weeks I'll have two days a week to focus on my blog. Another week I'll only be able to squeeze in a few hours. I also think it's down to wanting to make time to blog, as I know when I need to take photos I'll do it in bulk so I've always got content ready. I can therefore write and schedule the post at any hour of the day." "to be honest it is really difficult. Every spare moment I have I spend blogging and everything that goes with it, the actual blogging, the photos and content, the social media, the interacting with other bloggers and reading their content. It does feel like a second job sometimes. The only way I do it is by scheduling, I sit down and write a massive list of all the potential posts I would like to cover (usually when inspiration kicks in) writing blogs as in advance as I can, doing things in bulk (taking the photos to several blogs I'm planning on writing). And a little bit of luck. It does get tough sometimes as I do miss out on certain aspects, like going out with friends and spending quality time with my boyfriend and family etc. But it's just a bit of a balancing act. 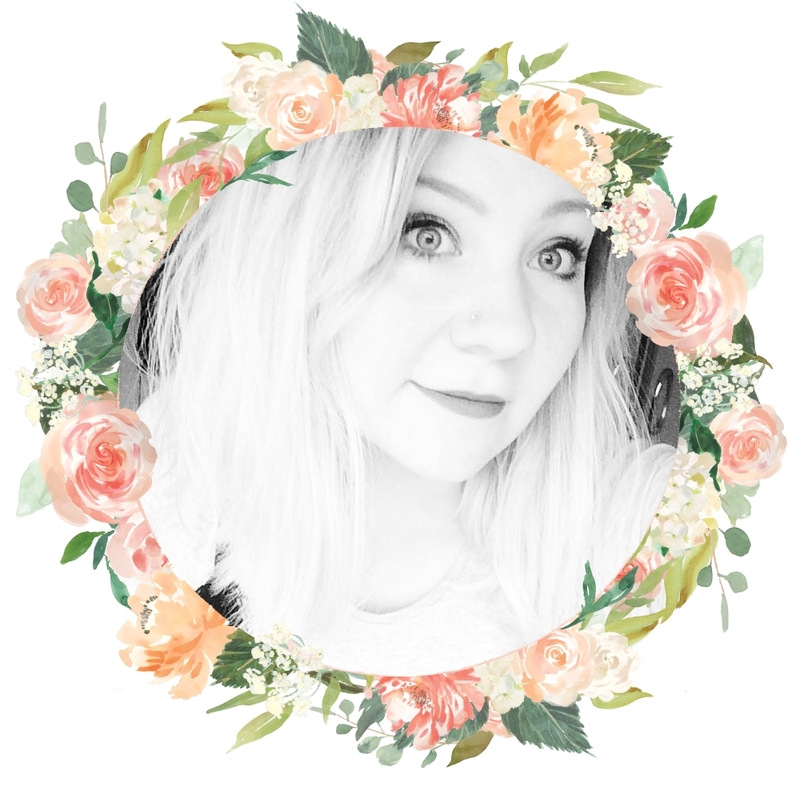 I absolutely adore blogging and am so happy I found it, wouldn't change it for the world!" Trying to blog whilst working full time is something I’ve struggled with for the past two years, check my post dates if you don’t believe me! There are not enough hours in a week! The main thing I’ve learnt is that if I have an idea I need to write it down (with bullet points!!!) so I can write it in full at a later time. If I’m at work and I have an idea, I quickly type it up on my emails and send it to myself. Cheeky but effective. Another good thing I’ve learnt to do is to set myself time limits of when to blog. Usually this means I have an hour on a Monday night to type out some post that I can then read through and edit on a weekend. 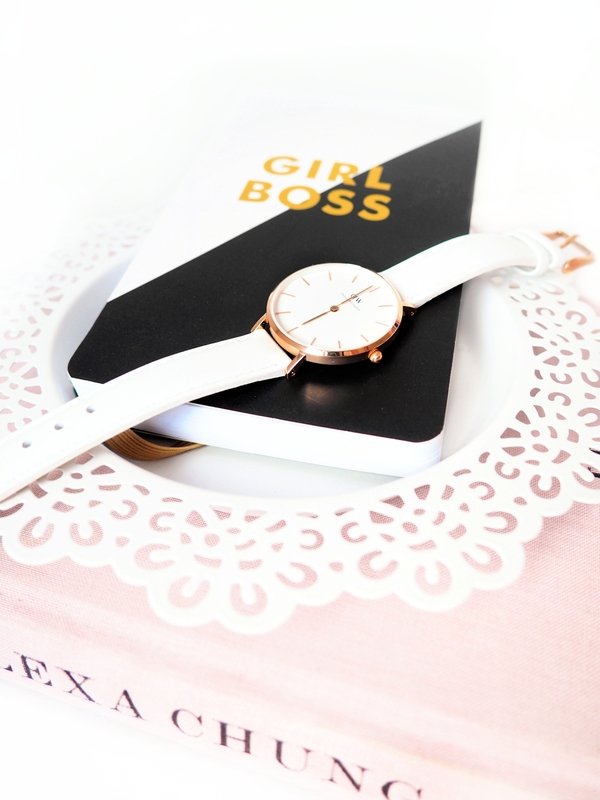 Blogging and working full time is difficult but if you plan your time right, you can manage at least one post a week! You may have noticed the beautiful watch featured in the photos of this post! 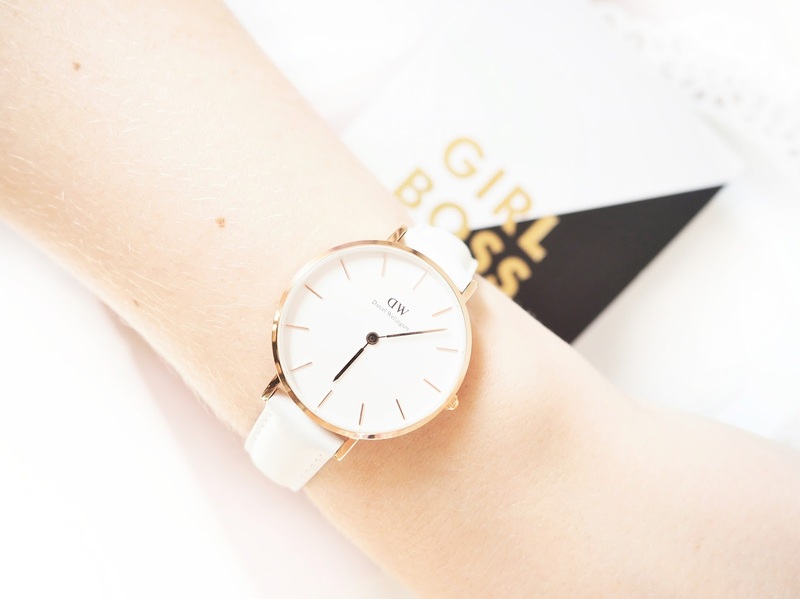 It's the Classic Petite Bondi* from Daniel Wellington's new collection, and I thought it was perfect to feature in this post today, as well as being the inspiration for the 'time' theme. You can get 15% off the whole site with my code DAINTYALICE15, so snap one up for yourself! Products marked with an asterisk (*) were gifted to me by the lovely Madeleine at Daniel Wellington. The code DAINTYALICE15 is not an affiliate link and is valid until the 15th August 2017. I'm a full time blogger but I loved reading this, so many good tips! Ever since returning back to the UK I have really struggled to find any time to just sit down and blog. It was a lot easier when I was 8 hours ahead actually. I need to get a plan together, that Asana app sounds perfect which Taryn mentioned. Lovely post, great to hear from different people and how they manage their time with blogging amongst other things. I'm honestly the worst when it comes to being organised. However, I know a time will come when I need to get my act together and be more organised otherwise my blog will probably end up going out the window. I work full-time, and try to study art in the evening, so my blog is really just a place of reflection for me. I admire everyone who can keep a regular schedule going, and getting to see how different people do it is really fascinating! Great idea for a post! I loved this post! I find it so hard to make time for blogging, even though I am fairly organized. Just finding the time to take blog photos is time consuming! This is such a great post, loved reading all the answers! We both work full time and are currently travelling, and blogging twice a day and vlogging! Don't really know how we do it but we love it and that's all that matters! At the moment I am lucky enough that for the summer I only work at weekends so have all week to do what I want and I focus on blogging a lot. I don't want to loose track or focus less on blogging when I get more work in September but know it'll happen so these are some great tips here. I enjoy blogging as a hobby so much and intend to stick to it! Some great tips! I don't know how I'm going to keep up with my blog when I go back to work but I guess I'll just have to get myself a schedule like these organised ladies! Thank you for sharing! It's really inspiring! Great post! I definitely have to schedule time for blogging when I go to college! I loved reading this. It's always nice to know how other bloggers juggle everything. Definitely feeling inspired to work harder on my blog now. Whenever I have a few spare minutes I tap out some content and save it as a draft. It adds up eventually! Such a fab post. Blogging takes up so much time, alot more than people think. This has been an interesting read! It can be hard to find time to blog or if blogging's your job getting the right balance between work/life. What an interesting post! I struggle sometimes trying to work, do youtube, blog and have a life on the side of things! But it somehow works out! Such a great post, it's interesting to find out how other bloggers fit blogging around their work! Love how you get to hear a little bit of lots of people's opinions in the post, juggling blogging and work (and life) can definitely be rough. Also I think it's really clever how you related the time theme from the watch to the post, it's a gorgeous watch! Great tips in here. I blog, work and am a mum who is also committed to volunteering for my boys footy club running the canteen every second Saturday. This has pushed my two posts a week back to one. I am looking forward to the end of the season so I can have more time to blog. I think I need to be better at scheduling time to work on my blog as I really enjoy doing it. Great post.